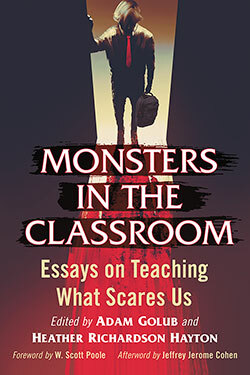 Congratulations to Adam Golub on the release of Monsters in the Classroom: Essays on Teaching What Scares Us (McFarland 2017). Adam, with Heather Richardson Hayton, is co-editor. “The contributors discuss the implications of inviting fearsome creatures into the classroom, showing how they work to create compelling narratives and provide students a framework for analyzing history, culture, and everyday life.” More here. Ty took a break from sexting Maddie to ask the pool guy about the leaf blower guy. “I heard someone attacked him with a golf club,” said Ty. “That’s terrible,” Ty said as his phone chimed. And then I climb on top of you like a jockey on his favourite horse. Maddie was a simile sexter. Monsters in the Classroom: Teaching Can Be a Scream, CSUF News Service, August 1, 2017. “Got a monstrous concept to teach next semester? There’s a zombie for that. Zombies and the Professor Who Teaches Them, Yes Weekly, June 27, 2017. 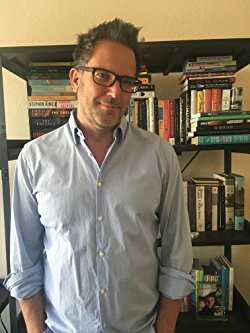 Adam Golub is an American Studies professor who teaches courses on literature, childhood, popular culture, and monsters at California State University, Fullerton. His stories have appeared in The Bookends Review, 101 Fiction, The Sirens Call, and Winamop.